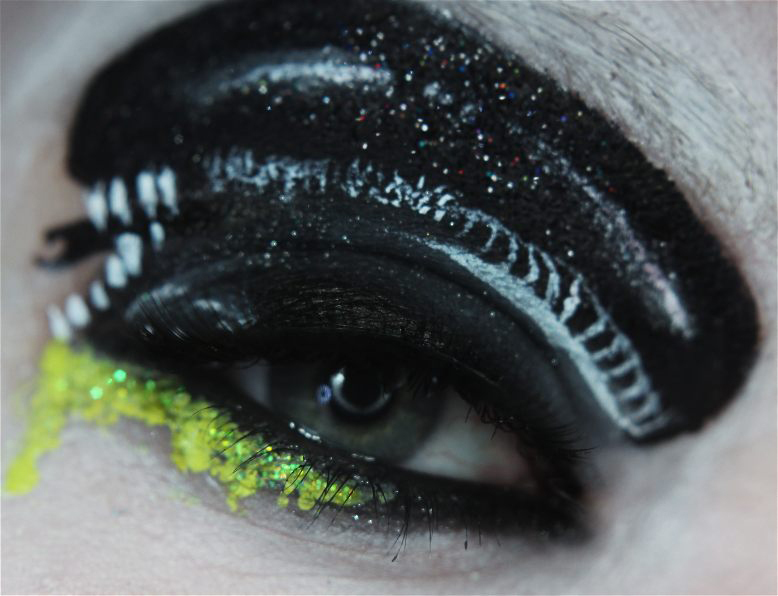 While there was once a time that eye make-up was utilised to simply add to a women’s appearance, many artists have developed much more creative means for its use. These artists have modelled designs based on characters from films and TV series and while some of this make-up probably wouldn’t be appropriate for some day-to-day uses, there’s no doubt that it can be appealing for other instances. 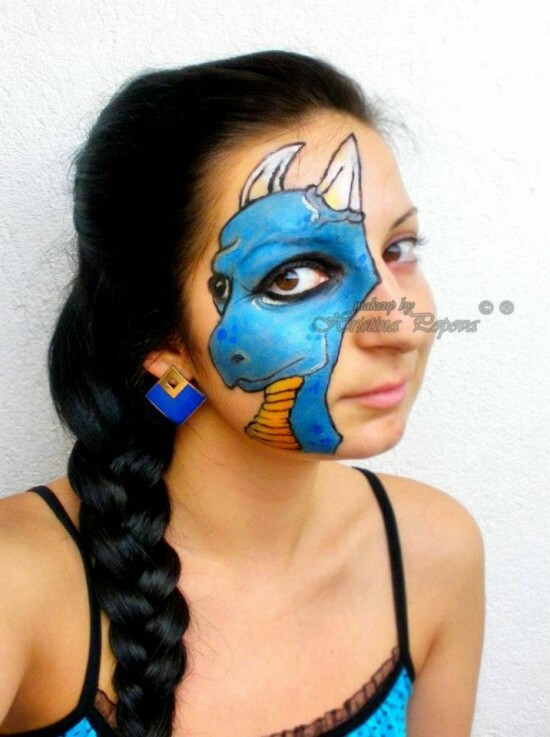 Following on from the above, here are some of the coolest, yet geekiest, make-up designs that one can apply to the eye area. 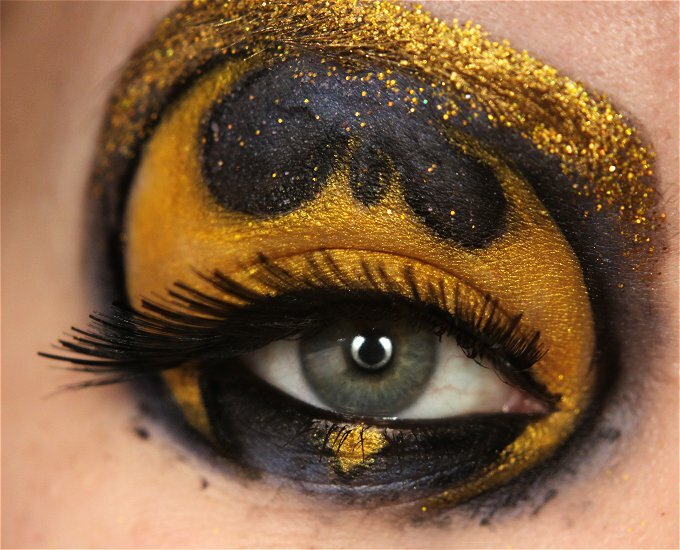 This eye make-up design incorporates all of the main features from the popular Batman series. Practically everyone in the world knows that the colours associated with the franchise are black and silver and there’s no doubt that this design has aimed to maximise the exposure of these shades. 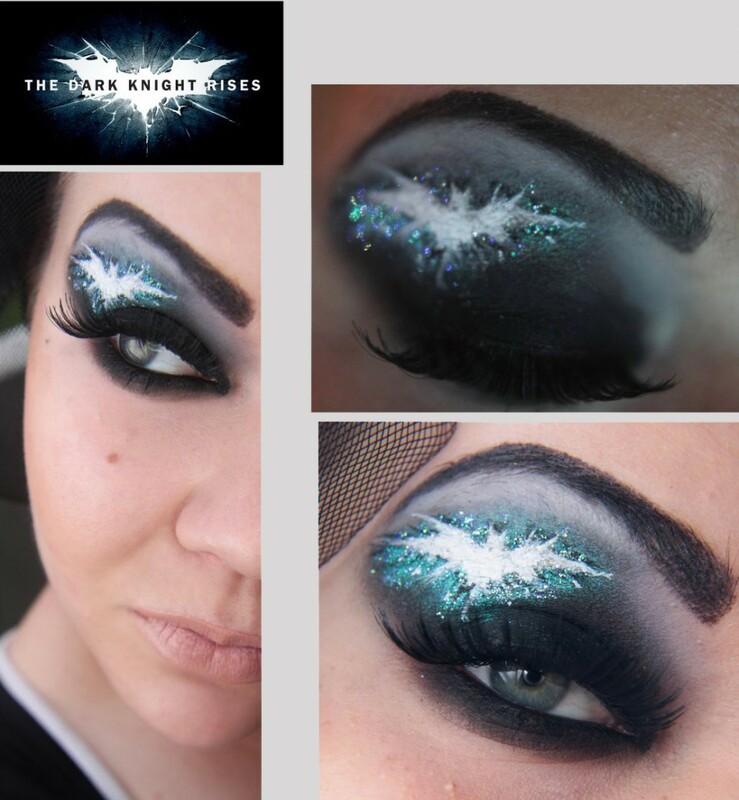 Moreover, it also contains the famous Batman logo and unlike some similar designs in the past, the artist has used all of her skills to make the image sparkle as much as possible for added effect. It would probably be fair to say that this is a design more suitable for a child. The design, while sophisticated, is quite comical and goes against the grain of most eye make-up designs by covering up most of the face. However, there’s no doubt that the original designer of this piece has been extremely creative with the location of the dragon’s eye – with this being shared with the eye of the individual. 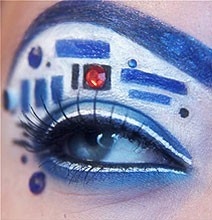 For any Star Wars fans out there, this eye make-up could be very appealing indeed. Admittedly, it is perhaps more simpler than some of the other designs looked at through this page, yet its simplicity is what makes the design so effective with the eye resembling the famous character of R2-D2. The implementation of the red diode in the middle of the design just adds to the whole effect and the artist has undoubtedly matched his aim of replicating the character’s appearance. Few people can doubt that the Avengers was one of the greatest films of recent time and on the back of this success, various artists have taken the time to create some designs that mimic the characters. It has to be said that all of the designs vary in a number of ways and different people will appreciate different designs. However, the design of Captain America certainly seems to be popular and with the famous US flag being embellished around the eye area, it’s certainly a massively visual effect. For those looking for a more 3D look, the character of Thor is resembled in fantastic fashion with his armour seemingly raised from the eye. For those looking for a more subtle look, the make-up based on Black Widow is sensual to say the least and could quite easily be worn in many different environments. Perhaps one of the more innovative, yet still slick, designs on the list is this purple flower arrangement. The artist has made extra effort to make all the flowers appear as 3D as possible and also utilised the eye lashes to strengthen this effect. 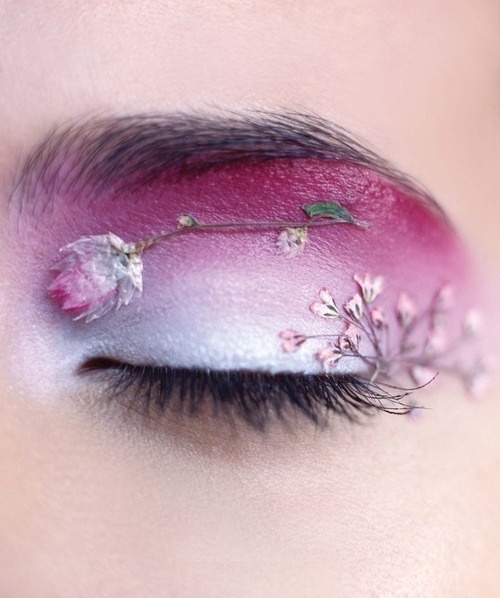 The design is so striking that one could even be forgiven for believing that small flowers had even been stuck on the person’s eyelid manually. This is another design that will probably occur to children more. 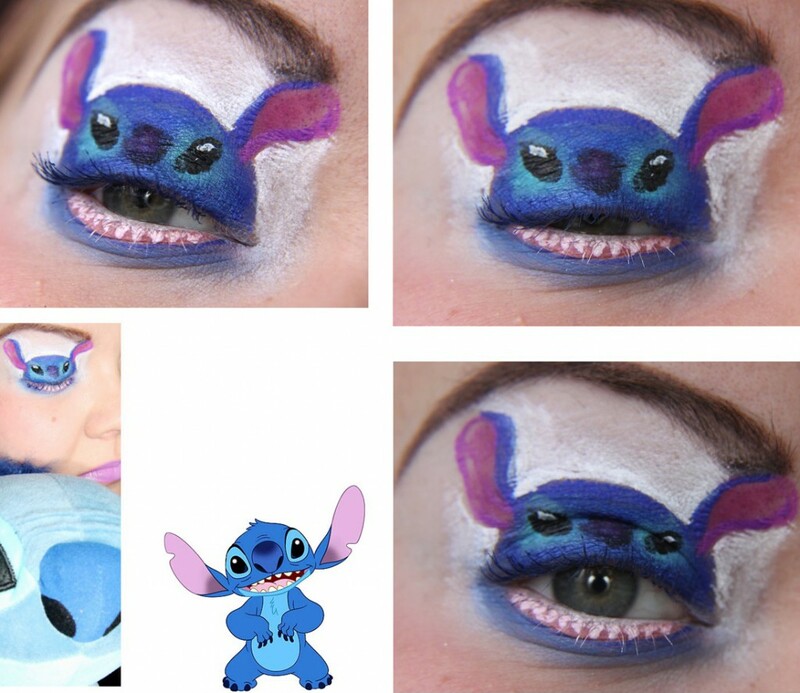 Nevertheless, it’s still a fantastic piece of artwork, with the character Stich being cleverly embellished around the eyelid area. There’s no doubt it’s the actual eye which is at the centre of this design, with this replicating the mouth of the character. This means that any blinking action resembles ‘Stitch’ gobbling up some food! 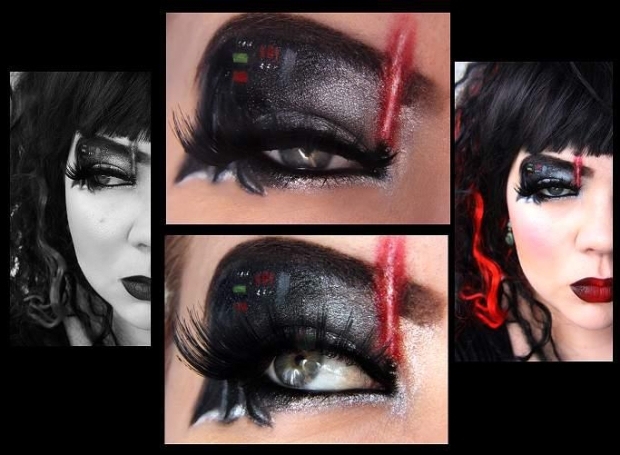 For those looking for a design bordering on creepy, look no further than this alien-based piece of eye make-up. The design incorporates all of the colours you would associate with an alien, with the black, navy blue, cyan and lime green all combining exceptionally well to produce an extremely creepy effect. 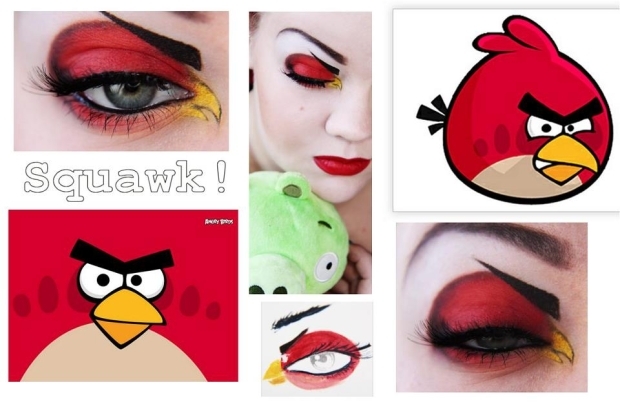 The fact that Angry Birds is something of a worldwide sensation these days means that one should not be surprised to see an artist insert the main features of the game onto the eye area. The main bird character is completely resembled in this design, with its red body surrounding the eye and the yellow beak poking out of the corner. Moreover, the thick black eyebrows of the character have been represented through the person’s eyebrow area for added effect. This is another excellent design for the Star Wars fans out there. It could be argued that this is slightly more visual than the R2-D2 design looked at earlier, with the red light-saber undoubtedly being the main feature of the design. 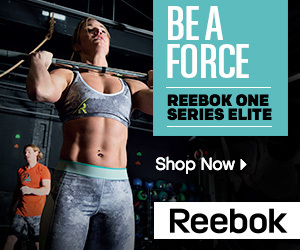 The small indents of green, blue and purple also mimic Darth Vader’s head perfectly. If there ever was a case of simple but effective, this design representing the character of Hulk is certainly it. 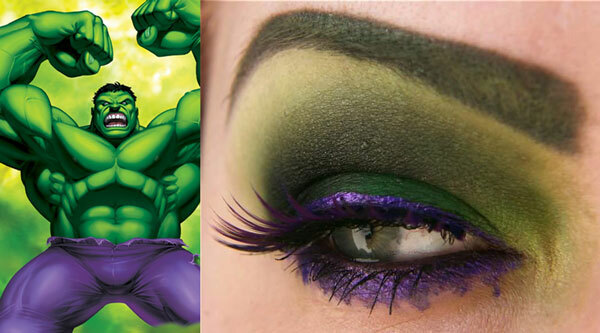 The artist behind the design has merely blended in shades of green, purple and yellow to create a look that immediately resembles Hulk. The fact that there are no illustrations or other design factors makes the colour choice and blend incredible on this design. 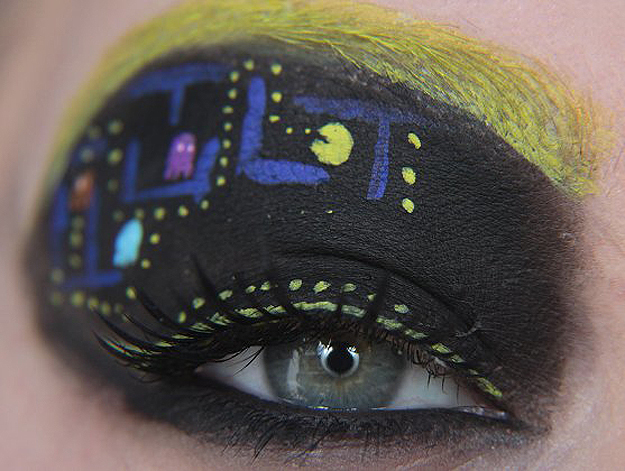 This one is a blast back to the 80s with this amazing Pac-Man inspired design. I really want to see if the other side design is the game after he eats the while pill! Please see below some additional designs people have sent in….. These are all done by a Katie Alves, you should definitely check her out if you like the designs on this page.